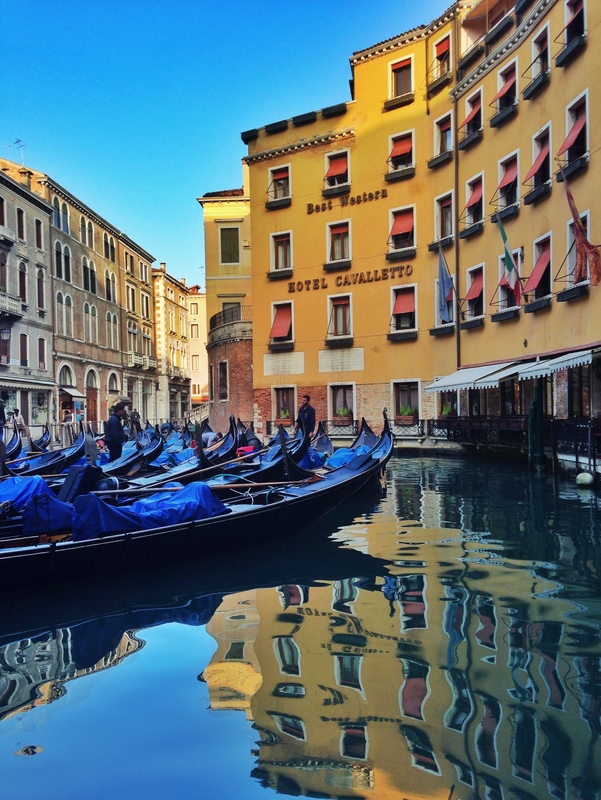 The Cafe Florian, San Marco, seafood, and an almost swim in the lagoon — just another day in Venice! Arriving in Venice, I’m willing to bet, never loses its charm. It has lost nothing on me since I first arrived 18 years ago. It was my first voyage out of the country, and I’m afraid I fell for it hard — and the love affair is still going strong. It’s a slice of history where opulent beauty reigned supreme and great wealth left behind a city of dreams. There is much to see and do in Venice, but for me, simply walking the city is the best “sight” of all. 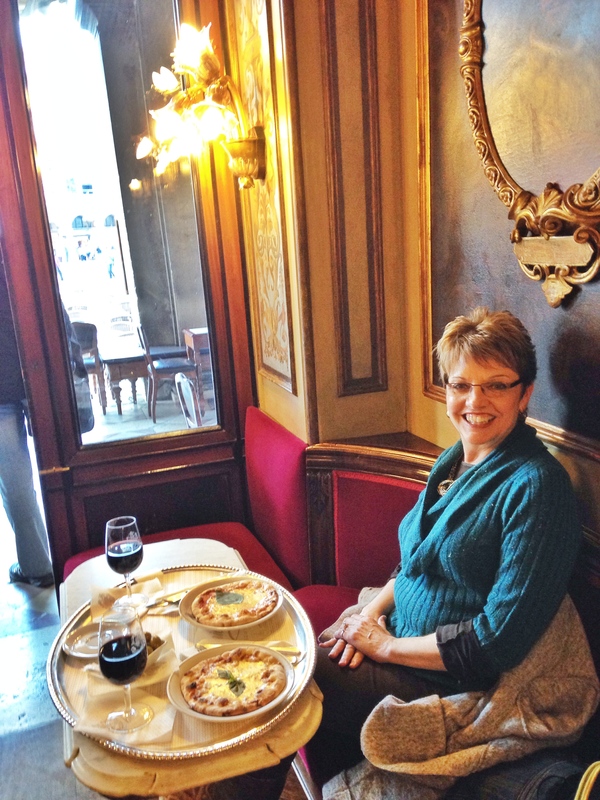 On the agenda: Cafe Florian, established as one of the first coffeehouses in Venice in 1720. It was the only coffeehouse that allowed women. I wonder if that is why Casanova was a known regular? Today it is simply enchanting, but the staffers do resemble modern day Casanovas. I wonder if it’s a job requirement? Or am I simply in Italy? Either way, a visit here is memorable, and fuels you with the energy to keep wandering. I’ve long been inspired by the fog of Venice, which appears as if the canals spray a mist up from their depths. It makes everything feel even more dream-like. Inspired by this view, with a setting sun of the Church of San Giorgio across the Adriatic from San Marco Square, I climbed down a few steps towards the Adriatic for a better view. That’s when it happened. I failed to notice how wet and slimy with moss a body of water can leave steps … and fell flat on my bum. Yup, I was that tourist that everyone runs to help and call out to out of concern. No harm done, but for a brief moment, I thought I might be going swimming. I was fine, and only gained notoriety for a brief moment — and I did get the photo! From there, it was wandering, eating and wandering. The food is a feast from the sea and the cicheti (snacks) are amazing little niblets from the Adriatic. I think I’ll see if tomorrow I can make a meal of them. 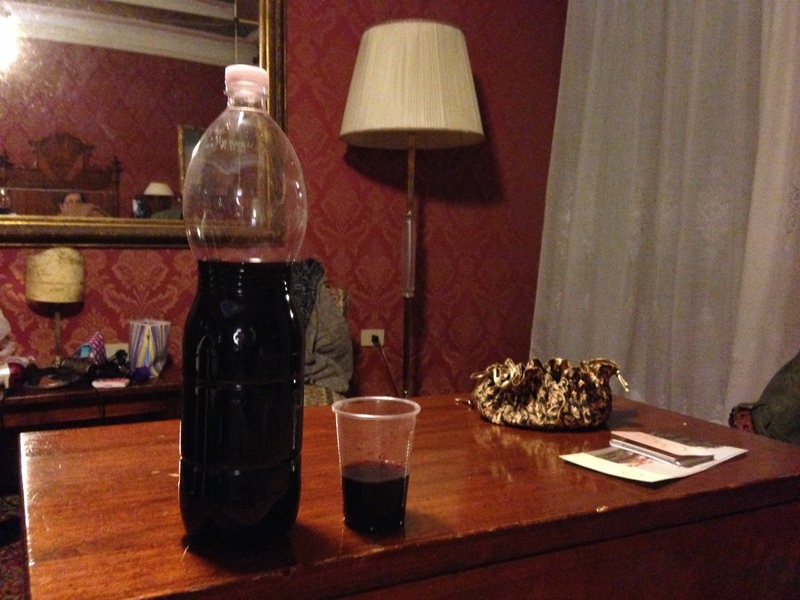 I am still exploring Venetian wine, but so far, so good! Buon appetito!